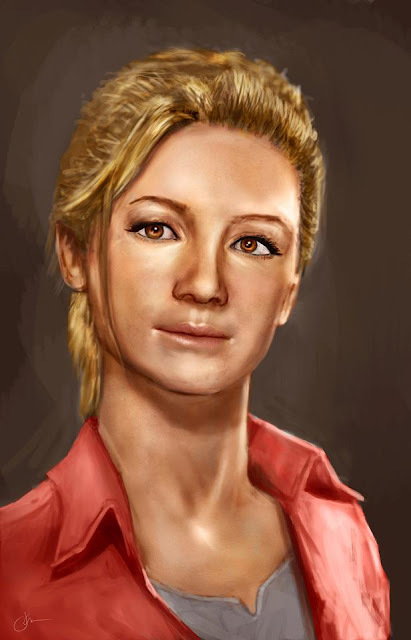 Portrait of Elena from Uncharted. For this I used the same procedure as below, no grid method, but sketched entirely by hand using the Riley method of measuring the proportions of the head. You can the WIPs for this here. Also I'm now at Teesside University! This week I start my proper work on my MA Concept Art for Video Games and Animation course, cannot wait to get started. One of the first things we'll be studying is Character Design, which is something I rarely really do, so hopefully it'll turn out to be pretty worthwhile to be out of my comfort zone. Can't wait to just spend a whole year painting.